How Much Can I Get for My Personal Injury Case and How Long Will It Take? Depending on a wide variety of factors surrounding a personal injury case, settling a claim could take less than a few weeks or as long as several years. Amount of injury compensation desired by the plaintiff, how long it takes to fully reconstruct and investigate the event causing the personal injury and what kind of delays an injury lawyer encounters from the defendant’s insurance agency and legal counsel. 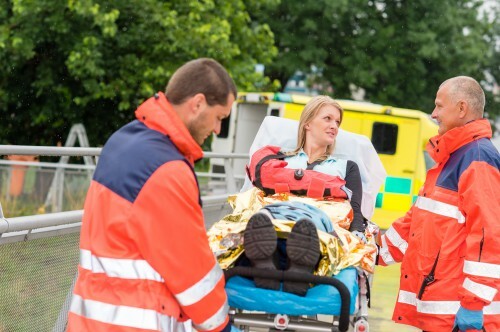 Determining severity of the injury and if future medical treatments will be necessary to support recovery are also factored in the length of personal injury cases. What Has to be Done Before a Claimant Receives Money from Their Settlement? The insurance company (if applicable) paying your injury compensation will have you sign a release form that legally settles the case/claim. This form contains statements that you agree to upon signing the release, such as “you are permanently giving up the right to sue the entity responsible for your personal injury” and “in exchange for giving up the right to continue litigating the claim, you will receive XXXX dollars of compensation”. Your injury lawyer will then remit unpaid medical bills on your behalf out of the settlement amount. Sometimes, insurance companies expending money to pay medical pays may also need reimbursed. Finally, personal injury claims lawyers deduct their fees and other expenses from the settlement. The amount left is what is awarded to the claimant. How Much are Personal Injury Cases Worth? You can learn more about how much your case is worth and how long it will take to settle my contacting a personal injury claims lawyer specializing in obtaining adequate injury compensation. Call London Eligibility today to schedule a consultation appointment.